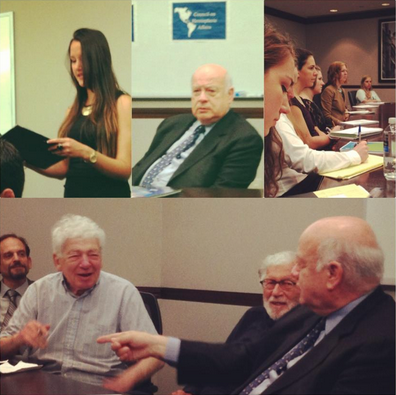 On Thursday May 30, José Miguel Insulza, Secretary General of the Organization of American States (OAS), visited the Washington headquarters of the Council on Hemispheric Affairs (COHA) for a discussion with its Research Associates, members of its board of directors, and invited guests. The Secretary General dealt with such topics as institutions of democracy and global governance, as well as discussions about the aftermath of the elections in Venezuela, the OAS’s continued de facto exclusion of Cuba, and a just-released OAS report on the drug problem in Latin America. Secretary Insulza began his remarks to COHA on institutionalism by invoking the late George Kennan, considered to be the “father of containment,” who said that when difficult situations arise and you do not know how to react, the best response is to stick to your principles. Insulza clarified that such principles are not about moral considerations but rather about maintaining consistency with former policies. The Secretary General stressed the importance of deferring to institutions, such as electoral institutions, in order to recognize state sovereignty. He referred to his recognition of the elections of former Mexican President Felipe Calderón and current Venezuelan President Nicolás Maduro in these terms, saying that he recognized Maduro not because he was sure about the validity of the extremely close election, but because “the only choice was to accept the institutions of the Venezuelan government.” By establishing his faith in these institutions and acknowledging their public results—despite the fact that the OAS was not invited to observe these elections—the Secretary demonstrates his commitment to sovereignty. While he reserves the right to criticize the electoral process of nations when he feels it would be justified, Insulza nevertheless has properly spoken of national institutions as entities to be respected in the absence of clear evidence of misconduct. Adding to the theme of the importance of a consistent, “principled” foreign policy, Insulza next turned to the ongoing debate over the future of the relationship between Cuba and the OAS. He told the audience the story of Chile’s reestablishment of diplomatic relations with Cuba, which served as a testament to Insulza’s commitment to inclusion and fairness during his tenure as Chilean Foreign Minister. He said that the Chilean government told the United States, after deciding to restore relations with Cuba, that to not have relations “is nonsense, it’s absurd. We have relations with every other country in the world, why should we not have them with Cuba too?” Insulza said that he was very struck by this argument, which complements his paraphrase of Kennan mentioned earlier: “we [referring to Chile] just stuck to our principles, what we usually do.” At the time, the only other OAS member states without diplomatic relations with Cuba were the United States and Paraguay. He also emphasized that solely the United States continues to oppose Cuba’s membership in the OAS today. However, Insulza did not wish to linger upon this subject since he does not believe that Cuba would choose to rejoin the OAS regardless of the conditions placed on its re-entry, as he was personally informed by former Cuban President Fidel Castro during a visit to Havana some years ago. Castro explained that not rejoining was, if nothing else, an issue of public opinion because he would have to explain to the Cuban public why he was rejoining it after 50 years. He used the phrase “social consistencies” to refer to the way Castro was thinking. This idea could also explain the United States’s continuing opposition of Cuban membership in the OAS and the maintenance of the embargo, a position that puts the United States at odds with all of Latin America. In Insulza’s opinion, the fundamental problem of the hemispheric system is that the United States created institutions after World War II but did not conform to the regulations it set out; now, “we have a system where the core [the United States] does not abide by the rules of the system.” For example, the UN’s International Court of Justice ruled in favor of Nicaragua after the United States financed and militarily supported the Contras, a rebel group that violated international law in their war against the Nicaraguan Sandinista led government, yet the United States did not pay the court’s mandated reparations. Thus, it is essential, according to Insulza, that the inter-American community continues to shape the OAS into an accountable organization that can make decisions that take into account the interests of the entire hemispheric community. The other obstacle to the inclusivity and democratization of the OAS is drug-related violence in the Americas. Secretary General Insulza said that the majority of drug-related violence is associated with the transmittance of cocaine. He cited that Honduras, part of the land-based system of trade, grew from having a murder rate of three per 100,000 to 80 per 100,000 during the past 20 years. He was also concerned that those most negatively affected by the drug trade are the small Central American states and minorities in the Americas because both categories have limited resources to deal with the consequences of drug abuse. Insulza criticized the current strategy of over-using the criminal justice system, which in some cases lacks sufficient resources to effectively combat the drug trade. In response to these concerns, the OAS member states commissioned the organization to create an objective report on the issue at the Sixth Summit of the Americas. This report, “The Drug Problem in the Americas,” provides not only empirical data about the various dimensions of the drug problem, but also broadens the parameters of debate about possible solutions, yet without being prescriptive. It also suggests a closer look at the public health and socio-economic dimensions of drug abuse. 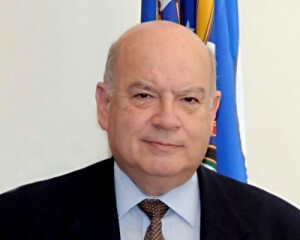 It is important that the OAS address issues such as these in order to ensure its continuing relevance in hemispheric affairs, according to Insulza. 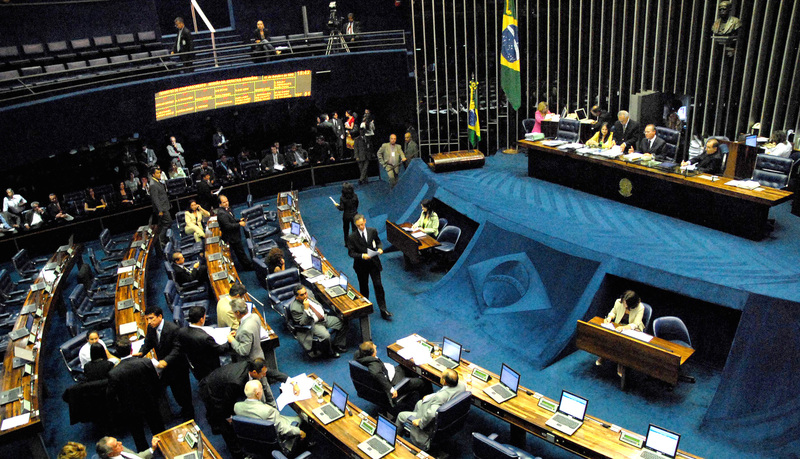 Despite the often polarized views within the organization, it remains “faithful to the notion that countries get along.” In addition, Insulza said that “the OAS has to do with democracy, but it also has to do with inclusion.” This type of inclusion constitutes both protecting smaller countries from their susceptibility to drug-related violence, and working towards making the organization representative of all states in the Western Hemisphere. 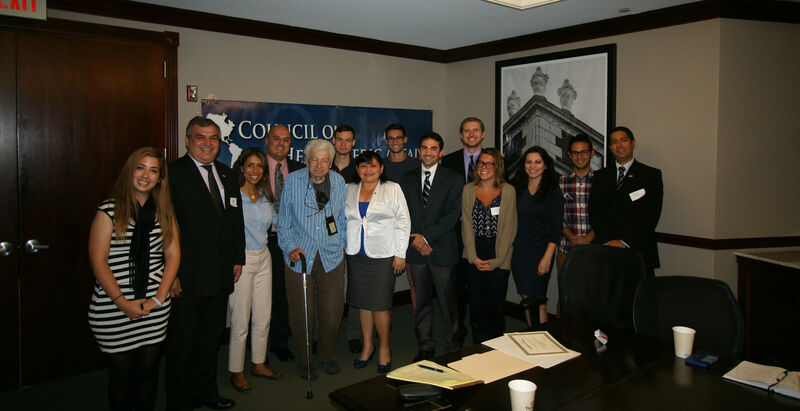 The Secretary General’s visit to the Council on Hemispheric Affairs provided a valuable opportunity for two veteran Latin American analysts like Insulza and COHA director Larry Birns, as well the other participants at the gathering, to engage in a dialogue about the evolving role of the institution under Insulza’s tenure. Is U.S. unease with Chavez warranted? September 11, 2007 COHA Comments Off on Is U.S. unease with Chavez warranted?